How do customers purchase gifts for other people? You can setup a gift code purchase option for customers using a widget or have customers mange additional profiles in their own account. 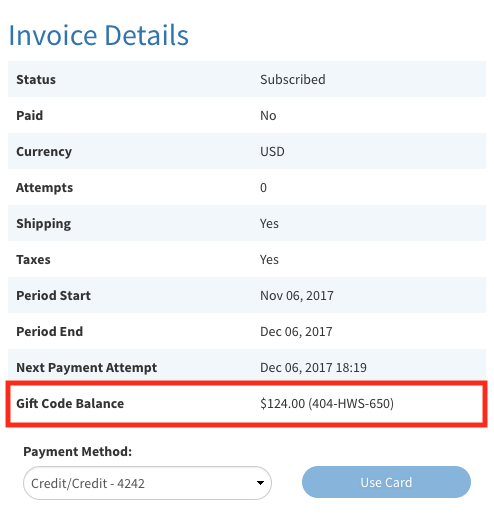 Using Gift Codes - RECIPIENT manages the account. Using account profiles - CUSTOMER manages the account for the recipient. 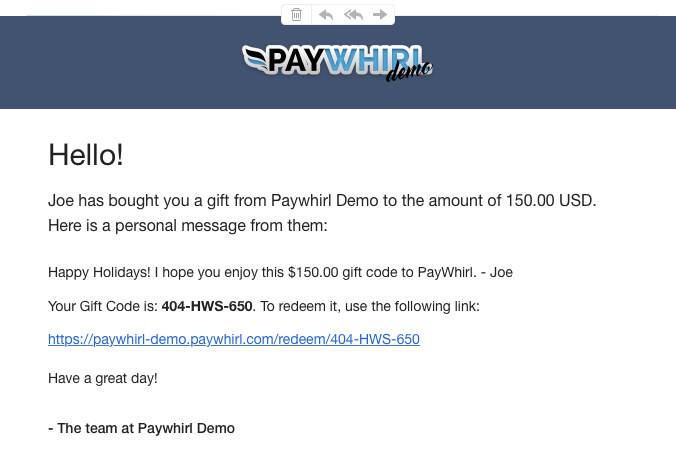 Gift Codes on PayWhirl are like a cross between promo codes and traditional gift cards. They work like digital a gift card with a pre-paid balance and are delivered by email to the recipient. If a customer purchases a gift code for someone else they won't have to create an account for the recipient and/or manage their payment information on an ongoing basis. 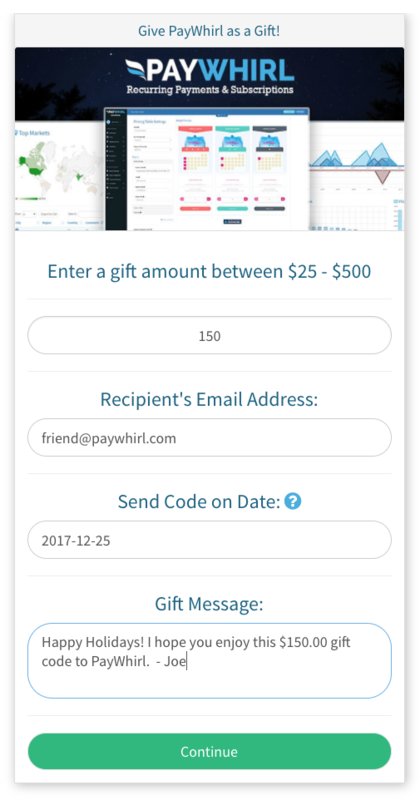 The recipient will receive an email (on a specified date by the customer purchasing the gift code) with a unique link to redeem the code and create their OWN account if they don't already have one. Existing customers can also receive gift codes from other people and have two options to apply the gift code balance to their account. They can use the redeem link in the email they receive with the gift code... OR... 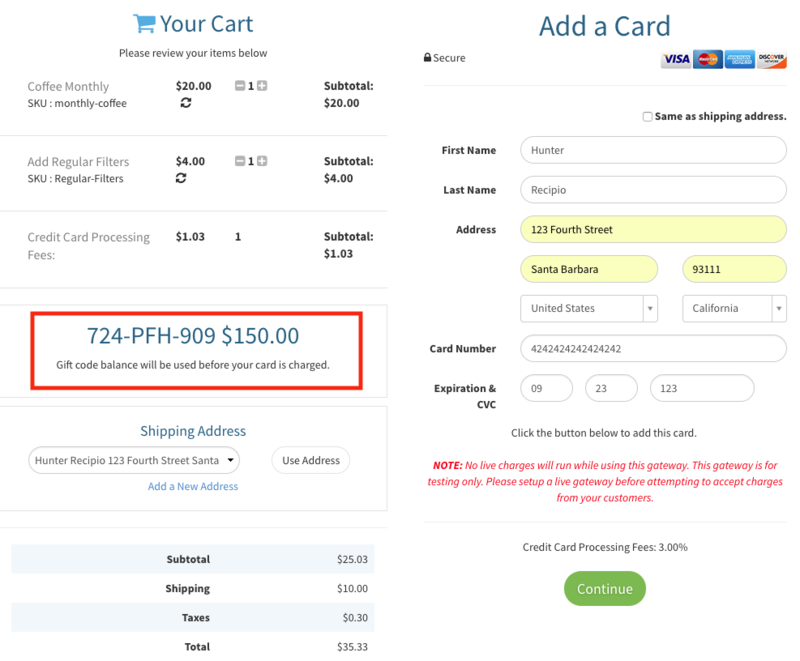 They can enter the gift code they receive into the promo code field on a new PayWhirl checkout. 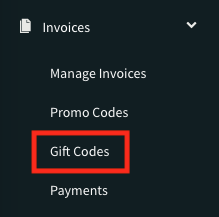 Gift codes can also be redeemed by new customers in the promo code field on checkouts in your existing widgets, just make sure the promo code field is enabled in your account settings. 1) SETUP A NEW GIFT CODE WIDGET, in your account from the manage widgets page. 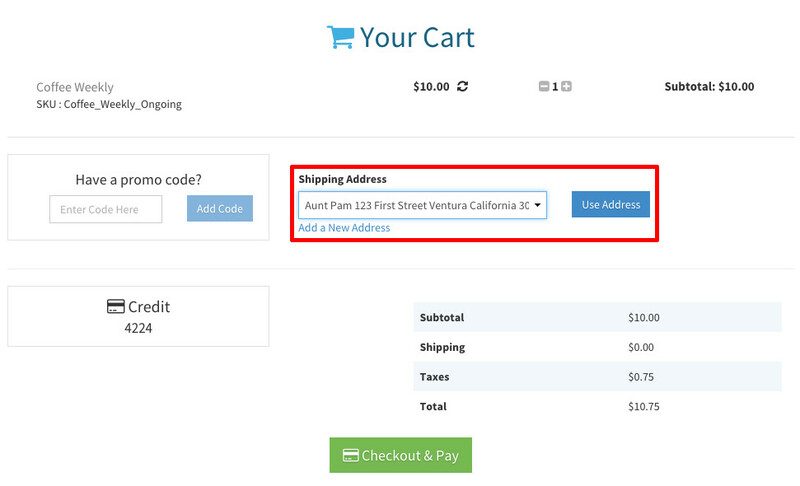 2) CONFIGURE YOUR GIFT CODE WIDGET, based on your businesses needs. You can set a min / max gifting limit, specify a unique url to redeem the codes (optional), customize the text of the widget, choose a payment gateway, etc. 4) CUSTOMIZE YOUR GIFT CODE EMAIL TEMPLATE, if needed. Learn more about customizing email templates. For each gift code in your account, you can see the original amount of the gift code, the remaining balance, the customer who purchased the gift code, whom it was redeemed by (new customer), when it was redeemed (once it's been redeemed) and other data about the gift code. Once a gift code has been redeemed, the customer will have a pre-paid balance associated with their account and it will be applied to any purchases the customer makes prior to any payment methods being used that are on file. NOTE: Gift code recipients will still have to provide a payment method when they create their accounts and redeem the code. Customers with a gift card balance will also see their current balance listed on the main dashboard in the customer portal and on any unpaid / open invoices. 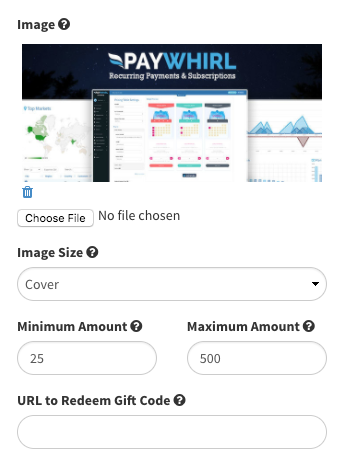 Account administrators will also see information about how the gift codes were applied on the recent activity section of invoices in the backend of PayWhirl. 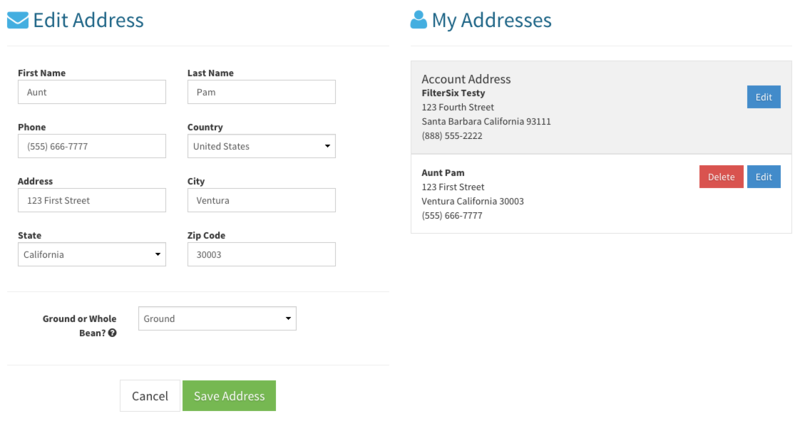 PayWhirl supports saving multiple "profiles" as a customer out of the box. Each profile a customer creates comes with its own shipping address and/or profile questions that are need to be answered. It's easy for existing customers to purchase gifts for others right from within their portal if they are OK with managing the recipient's account and payment information on an ongoing basis. Customers simply add a new profile for the recipeient in their account via the customer portal and select it on checkout. Supporting multiple profiles in one account allows your customers to shop and make additional purchases for friend(s), or have different orders shipped to different addresses, or have different profile questions answers for each address, profile, etc. It functions similarly to Amazon's native customer profiles where people can manage and save multiple "profiles" as a customer with independent shipping / billing information. Please let us know if you have any questions regarding gift purchases.